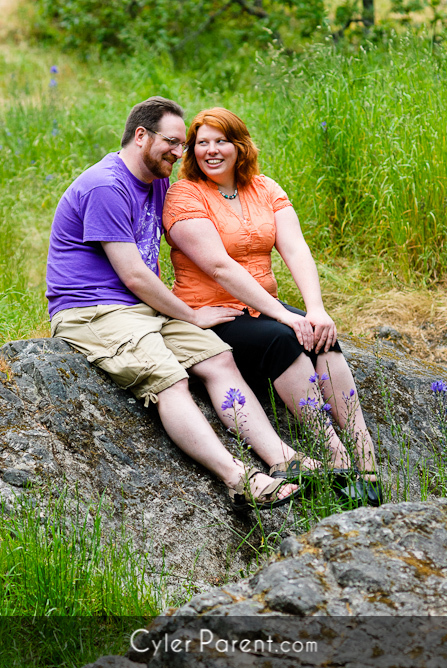 Just over two weeks ago, I stole Alison and Mike for photo session at Beacon Hill Park. Much fun was had, and laughter was a plenty. Hello everyone, I would like to introduce you to my good friend Teresa. She is wonderful and has a great sense of humour. She is one of my closest friends here in Victoria. She needed some new photos, and I happily agreed to do a session, so we headed over to Beacon Hill Park to snap a couple shots. Let me introduce Nida and Jude, two amazing lovebirds who are getting married this fall. Nida lives in Victoria with her family, while Jude lives in Toronto. They haven't seen each other much lately, but Jude is in town for a week. I had never met Jude before the photoshoot, but as we started, it was instantly obvious that these two are soul-mates. That combined with the fact that both of them were rocking some awesome outfits meant that my job became pretty easy. Congratulations Nida and Jude on your engagement, you guys are perfect for each other. Sheena and Adam were the first two people I met in Victoria. They were kind enough to let me crash on their couch way back in December of 2009 while I was looking for a place to live. It's taken a while to sync all our schedules, but we finally got together last week for a photoshoot. They brought along their super awesome dog Tobias as well. After checking out the photos, I suggest checking out their blogs. Adam runs the music blog Island Soap Box and Sheena does a cooking blog over here.